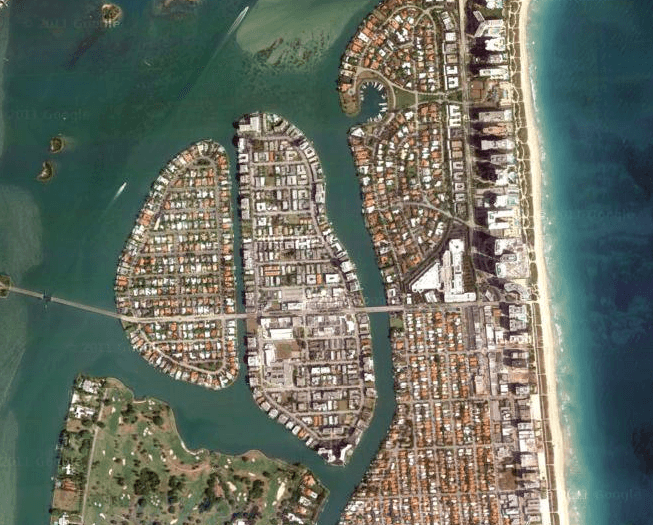 Bay Harbor Island is a small city located to the northwest of Miami Beach. The island is separated from the mainland by Biscayne Bay, which provides incredible views for residents to enjoy. Bay Harbor Island actually consists of two islands that are known for their luxury homes and condominiums. The small town is surrounded by two other small villages: Surfside and Bal Harbour and is close to the bigger city of North Miami. If you love the water, Bay Harbor Island is the perfect place to live because of the close proximity to the water and available marinas. The ocean views and peaceful area create a one of a kind lifestyle that cannot be recreated. There are recreational opportunities available for all ages in Bay Harbor. There are two large relaxing parks and a Tot Lot playground is provided for kids to enjoy. The schools also have after-school programs for older kids to take part in. For adults, tennis courts and lessons are available for use. The city organizes a free picnic for residents to enjoy each year along with a Run/Walk sponsored by the city. The schools in Bay Harbor Island are some of the best in the area so parents don’t have to worry; their children are getting an excellent education. Bay Harbor Island has a sense of elegance and sophistication. The affluent area is close to all of the fine dining and shopping available in South Florida but isn’t in the middle of the busy city. The Bal Harbour shops and Aventura Mall are only a short distance away, which contains the best of dining and shopping. Art museums, concerts, and nightlife can be found near Bay Harbor Island for the time you decide to step away from the beautiful beaches. This is the ideal location with the most extravagant and luxurious homes.